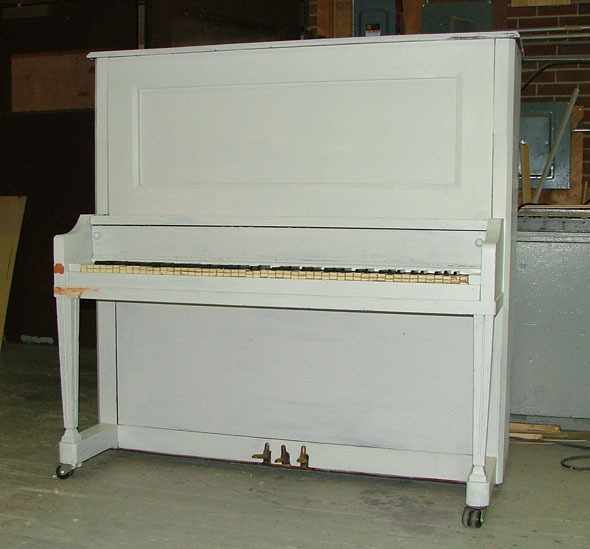 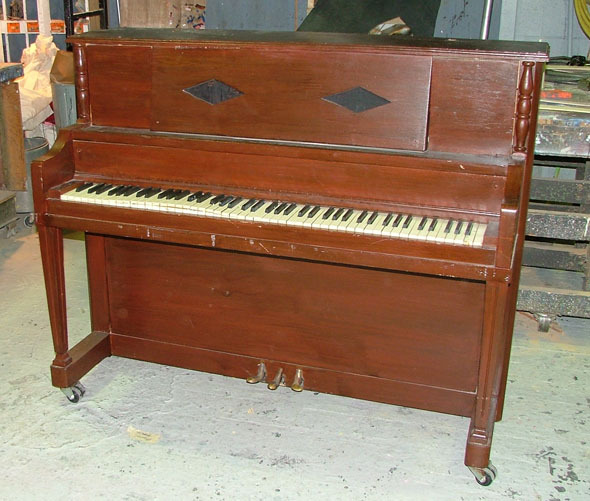 A taller upright piano was needed for the production of Morning Star. The only available piano did not fit the look. I was given permission to modify a piano that no longer stayed in tune. I took apart the top of the piano, added the needed height and added some decoration. 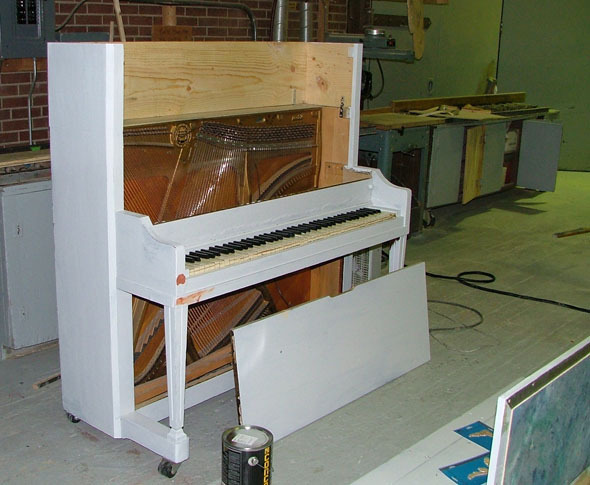 I then repainted the piano so it all matched. 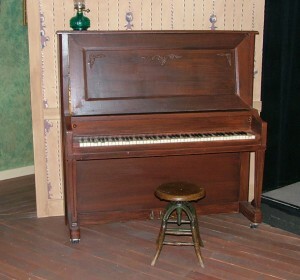 In addition to the height, the piano needed to look like it was being played while a speaker inside produced the sound. All the hammers of the piano where already missing so I rigged up rubber-bands to all the keys to hold them up and still allow the actor to push them to look like it was being played.